Jenna Hudson and Kevin Jenner are polar opposites working for the same online publication in New York City. With both having nowhere they want to be for Christmas, they volunteer for a special writing assignment. 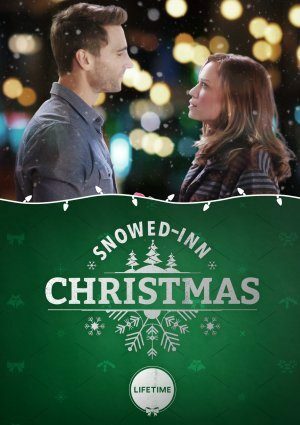 After a snowstorm forces their plane to land in none other than Santa Claus, Indiana, the two are placed in a Christmas Wonderland and the focus of their story shifts to saving the historic town inn run by Carol and Christopher Winters. As the two overcome their differences, they also rediscover the magic of Christmas. But with the inn’s fate in jeopardy and the return of someone from Jenna’s past, Carol and Christopher lend a helping hand to bring Jenna and Kevin together. I’m trying to watch “Poinsettias for Christmas”, but the MISPRONUNCIATION of “poinsettia” is grating on me so much that I had to look it up to make sure I wasn’t losing my mind. It is and has always been pronounced “poin-set-ta” NOT “poin-set-ti-a”. Grrrrrr.